It's funny how the smallest everyday occurrences can make a big influence in your life. For example, one time I happened to attend my church's book club, which I don't do very often, and a friend mentioned that her children were taking some very affordable private swimming lessons. I signed my kids right up and it was such a blessing to help my very timid swimmers. I was so glad I went to book club that night or I would have never known about the lessons! And another time, years ago, a friend of mine asked me if I had ever made a quiet book and that I should. I had never wanted to take on such a big project but her little comment started churning ideas in my head of quiet book pages and before I knew it I was drawing up patterns and sewing quiet book pages. Of course I wanted to share my completed project here, which later led to being contacted by a publishing company and publishing my book Quiet Book Patterns. And then one time I happened to be on Facebook and saw my cousin mention a book called The Child Whisperer. It sounded interesting so I picked up a copy from the library. After reading the first chapter or two I decided this was a book I was going to want to keep, highlight, and reference so I bought myself a copy. It was worth every penny. This book has changed my life! Carol Tuttle's book isn't like any other parenting book you've read before. Other parenting books usually say if your child does A then you do B, but Carol instead explains that if we understand the true natures of our children and then parent to their natures our children will be happier and more cooperative. 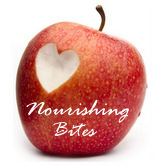 We can discover the true natures of our children through energy profiling, which Carol explains in her book. I have found energy profiling so interesting. I have four children and somehow ended up with each of the energy types. I have a serious child, sensitive child, determined child and fun-loving child. My first two kids are the serious child and the sensitive child. Their energies are still. You can imagine my surprise when my third child was born as a type three determined child. He stomped around, was loud, and had a lot of energy. I was exhausted and wasn't sure where I had gone wrong with him. This was the point in my life when I picked up The Child Whisperer. As I read about type three determined children I could hardly believe that Carol was describing my child exactly! I quickly realized that there wasn't anything wrong with my high energy, active, and determined child. He just had a type three personality. I understand my son so much better now and in turn can parent him much better. I realized he needed more opportunities to get his energy out and he needed chances to complete big tasks and be kept busy doing constructive projects. Now I know when I need a big project done like raking the yard, or cleaning up stacks of dishes he is the child to ask. He loves big projects, which is true of type three children. As I continued to read about each energy type, Carol continued to describe each of my children exactly. This lady really is amazing! Since finishing The Child Whisperer I have learned so much about each of my children, about myself, about my friends, and even acquaintances. I love how I simply understand people now and why they do things a certain way or act a certain way. I am a much better person and a much more patient person! If you are struggling to connect with your children in any way I highly recommend picking up a copy of The Child Whisperer. 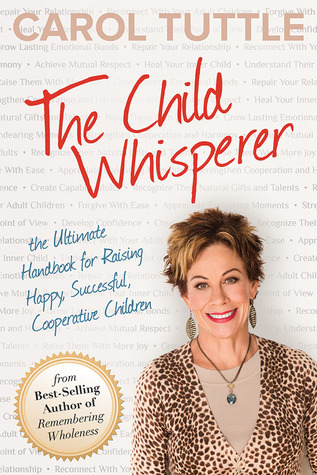 I also have TWO copies of The Child Whisperer to give away today! To enter to win simply leave a comment telling me what you love most about being a mother or father. And because I want to get the word out about The Child Whisperer so it can help as many parents as possible you can earn a second entry by pinning this post on Pinterest OR sharing this giveaway on Facebook/Twitter and then leave a separate comment telling me you did. Random.org pulled numbers 31 and 6. Congratulations Jenni and Kortney! I will be contacting you shortly with the details. One of the things I love about being a mother is "seeing the light bulb turn on" when a child discovers something new and exciting all on their own. I love when my baby tries to help other people be happy. He'll seek out eye contact and smile until someone smiles back. It is my favorite! My guess would be that he is a fun-loving child by the definitions above, but I'd love to learn more! I love sharing the things I love with them and finding teaching moments every day. I shared on fb too Amy. I love it when they discover a solution to a problem. I love watching my kids grow and experience new things. It's fun watching them learn something new almost every day. I love watching my daughter learn. We read lots of books together and it's fun to see how she makes connections from our books to real life. Also, I need this book! I love watching my children help each other and be each others' best friend. Oh my goodness, there are so many things I love! But I think the thing I love most is watching them grow and discover. I love those moments when your kids do something that you've tried really hard to teach them. It is so nice to see that some of those lessons are getting through to them! I have also pinned this to Pinterest. Thanks! My favorite part of being a mom is the hugs and snuggles. Also, I'm dying to read this book! Hmm, my other part didn't show! I love being a mom because I get to watch my children learn new concepts and see the ideas click on their minds. Getting to witness the joy in a new discovery is probably my favorite part of being a mom! I love seeing them learn and grow. I love how each of my children are so much the same and so so different at the same time. I also think this book will help me figure them out! I love seeing how creative and intelligent my children are, and discovering that they are definitely not mini me. They are amazing people I am getting to know. I posted a link to your giveaway on Facebook! I really enjoy their creativity and watching their imagination. I love the joy I feel when I'm with my children. I love watching them learn and figure things out on their own! I love watching the bond growing between the siblings. It is amazing! I love watching them learn! It's amazing to see the lightbulb CE on. I guess I didn't submit my first comment! I love sharing giggles and getting unexpected hugs. Those are the best. Hmmm...my first comment didn't go through so I'll try again (I can't remember what I said! haha). I love discovering who they are -- they're fascinating and I adore them. I love watching them become people. I shared on facebook. This book is awesome! I don't think my first comment went through! Sorry if it did! What I love right now is that even if we have hard moments, my kids still want me and love me! Right now at least!